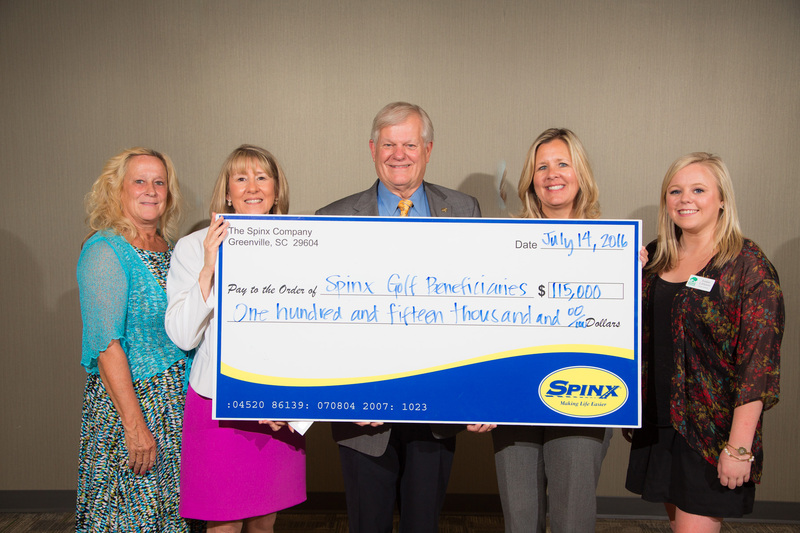 The Spinx Family Foundation was established to support the generous giving of our company, our founder and our teammates. Through the Spinks Family Foundation, we graciously support organizations that align with our charitable giving mission: Spinx & Kids: Mind, Body Spirit. Our philanthropic focus is to grow healthy kids where we live, work and play, and we support many events and charitable organizations that share our passion for schools. Through our donations to schools, the arts, hunger prevention, athletics, health care, scholarships, addiction prevention & intervention, mentoring, youth clubs and other children-focused initiatives, we hope to touch the lives of children in our communities and bring a little extra happiness to them and their families. Our founder Stewart Spinks is known for his generous spirit, and the Spinks Family Foundation was established to extend this generosity to support organizations that share our passion for helping our future: our children. Our charitable mission is simple but impactful: Kids: Mind, Body & Spirit. We are committed to growing healthy kids where we live, work and play by partnering with programs that focus on improving education, health, wellness and moral growth for children in South Carolina. Our support typically includes schools, scholarships, arts, hunger prevention, health care, addiction prevention and intervention, youth clubs and associations, youth homes and camps. To qualify for a charitable donation, your organization must be a non-profit 501(c)3 with 80 percent or more of funding directed at improving the welfare of children. You should have at least 500 hours of volunteer participation and offer facilities and programs in the communities we serve throughout the Upstate, Midlands and Lowcountry regions of South Carolina. If you meet these criteria, please fill out our sponsorship application at least four (4) weeks prior to your event or program.